This month in the news we will cover several photo tips in addition to news about art fairs and competitions! If you would like to see the pictures from this falls Residency at the Pictured Rocks National Lakeshore, go to: www.petersen-photography.com. 130 of the best are in the Pictured Rocks Gallery, The Panorama Gallery and the Limited Edition gallery. All these prints are available for Christmas delivery, and are for sale. BEST OF TRIP IMAGE HAS BEEN SELECTED! This month has been a very busy month here at Petersen Photography. I returned from my trip to the Pictured Rocks National Lakeshore where I was “Artist in Residence”. A lot of time has gone into selecting the best image of the trip since then, and recently it was selected. 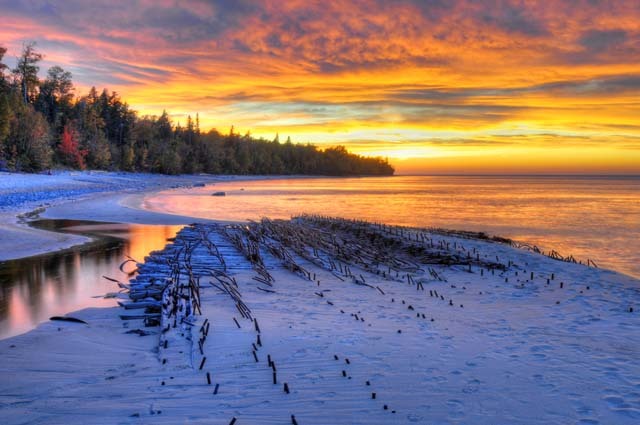 The image is “Shipwreck by Au Sable light” and will be the image given to the National Park Service for their Artist in Residence collection. A MAJOR CONTEST WIN! I entered 8 images from the Artist in Residence trip into the SWMCCC fall photo competition. SWMCCC is an organization consisting of 13 camera clubs in Michigan and Indiana, with a membership of over 2600 avid and accomplished photographers. This organization has been in existence since 1954. The website is www.swmccc.org. The results will be online in the next week or so, however I have been given the results via e-mail. Judging is done by three judges. They have several winning categories. First is acceptance where an image is selected for further competition. Second is honors/highest honors, and finally the best three images are given a first, second and third place. Log Slide also won an acceptance In the general category: Anger won an acceptance Shipwreck by Au Sable light won an acceptance (shipwreck was the image that was selected as “best of Trip” by the National Park Service) and is shown above. 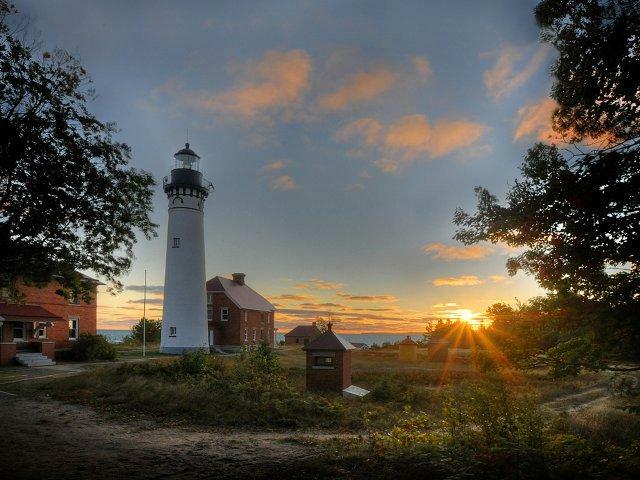 And finally, out of 144 entries from Indiana and Michigan, the image “Dawn at Au Sable Light” won Highest Honors and took First Place in the digital competition! This is an amazing honor and I just wanted you to know the good news! HOW DO I TAKE PICTURES IN THE SNOW? : How many times have you taken a picture in the snow and it turns out blue or a dingy gray? If you check the manual, almost EVERY camera has an exposure compensation adjustment. if you turn that setting up +1 or +2 you will see that the snow is White! Things are not gray! So what happened? The camera’s light meter assumes that the average of all colors is gray. this works great except when you are taking pictures of things that are pure white! the camera sees the pure white and exposes it as gray. The exposure compensation tells the camera to increase the exposure. ONE IMPORTANT THING! remember to turn it back when you stop shooting outdoors! CALENDERS ARE AVAILABLE! the pictures that are on the annual calendar are available at this link . 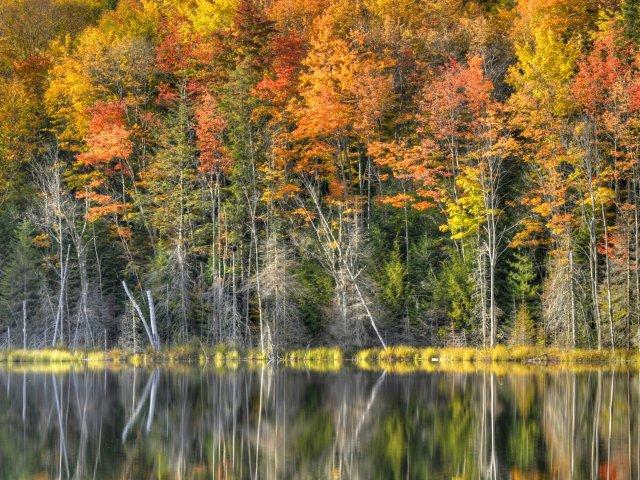 All Images are from the Pictured Rocks National Lakeshore in the Upper Peninsula of Michigan. Some were taken in the summer of 2011, the remaining were taken during my Residency as Artist in Residence for the National Park Service during September and October 2011. The Calendar can be purchased from me for $29.95 plus shipping and tax. Please e-mail me for checkout information. Montague Artisan Marketplace Holiday Open House—Friday ~ November 25, 2011 12-8 P.M. and Saturday ~ November 26, 2011 10a.m.-8p.m. Join us in this special sale event with artisans from the Montague Artisan Marketplace. This two-day event will be hosted at Bardic Wells Meadery which is located in the lower level of Todd’s Pharmacy: 8725 Water Street, Montague, MI 49437. There will be Holiday shopping, musicians, food and beverages by Fretty’s Catering. HOW DO I TAKE PICTURES OF OPENING PRESENTS AT CHRISTMAS? get low!! The best pictures are always taken at eye level! Sit on the floor when the kids are opening the presents. YOU will be amazed how this one thing improves all the pictures! NEED A SPEAKER? : Do you have a group that would enjoy a presentation regarding my Artist in Residence experience? How about a photography topic? How about a presentation on the Pictured Rocks National Lakeshore? I have an exhibit of the 11 best images of my AIR (Artist In Residence) experience. Contact me for more information. WANT A SPECIAL GIFT FOR A PHOTOGRAPHER? 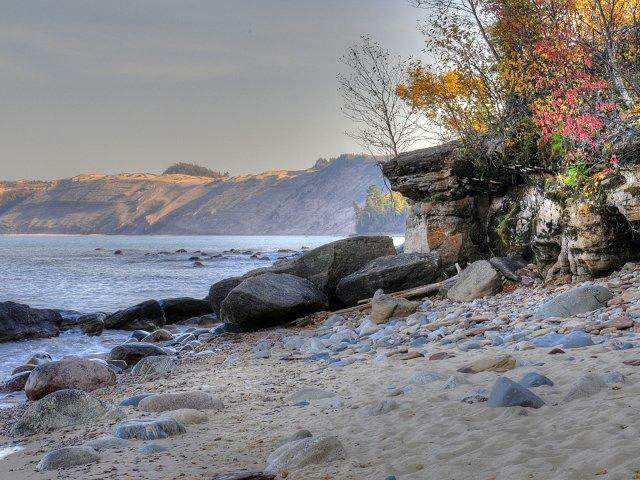 I will be leading a photo workshop in the Pictured Rocks National Lakeshore the first week of October next year. The workshop will be 5 days long, we will explore the park and photograph those special hidden spots that photographers dream of. Hidden Lakes, Waterfalls, secret spots that I found during my Artist in Residence experience along with photo tips are all part of the agenda. The trip will be based in Grand Marais. You can camp or stay in a motel. THIS TRIP IS LIMITED TO 12 PHOTOGRAPHERS so ask for more information right away! I also have many classes over the year, and give individual lessons. Talk to me about holiday pricing. PRINTS MAKE WONDERFUL GIFTS! They are easy to ship, in fact I can handle the shipping for you! REMEMBER TO SUPPORT LOCAL ARTISTS!